Join TBGKids for interactive, educational and engaging activities in TBG’s cozy nature-themed classroom, expansive garden and nearby ravine. 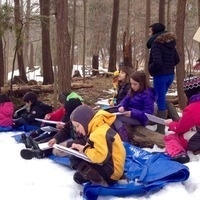 March Break Camps are also great for getting a taste of our popular summer nature day camps. Register for individual days or for the entire week and get a FREE day of camp! If you are looking for writing service reviews visit EssayTopicsMasters. We tell only the truth about scammers, so you could know whom to avoid at all cost. Check out our https://essaytopicsmasters.com/reviews/essayassist-com Review to learn whether you can trust this service.